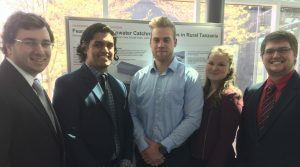 A team of engineering students from Ohio State’s Department of Food, Agricultural, and Biological Engineering (FABE)—Nick Ciccotelli, Maddie Conover, Evan Curts, Musab Imam, and Justin Rhoades—recently collaborated with GWI to design a system for capturing and storing rainwater from the roofs of buildings in rural Tanzania. The challenge to the team was to design a low-cost, low-maintenance solution for making use of the plentiful rainfall during the Tanzanian rainy season. Thanks to a tropical climate with distinct wet and dry seasons, Tanzanian agriculture suffers from a lack of consistent access to water. While plentiful water in the rainy season can sustain crops, water becomes scarce during the dry season, jeopardizing the much-needed harvest. Using a cost-benefit analysis tool designed by Peter Ngimbwa, a 2016 FABE Master’s graduate, and his advisor Andy Ward, the team evaluated the economic feasibility of installing their system, taking into account the size, cost of materials, projected rainfall, and type of crops to be planted, among other factors. Ngimbwa, who is from Tanzania, made time available to consult with the team via Skype about how to optimize the system for the various regions of the country. The team found that their catchment system would pay for itself within four years in all three of the regions that they studied—Dodoma, Arusha, and Manuara. 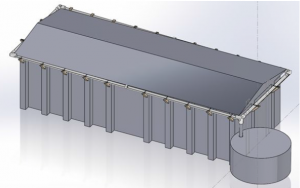 Their sample system—catchment from an 8.33’ x 20’ rectangular roof to water a 50’ square vegetable garden by drip irrigation—is representative of a typical rural public building, such as a clinic or school, where a real system could be installed to demonstrate the value of rainwater catchment. The Global Water Institute’s Sustainable Village Water Systems Program is a new model of rural development for developing countries (with Tanzania as a pilot) that takes water as a starting point for improved health, nutrition, and economic prosperity for rural communities. 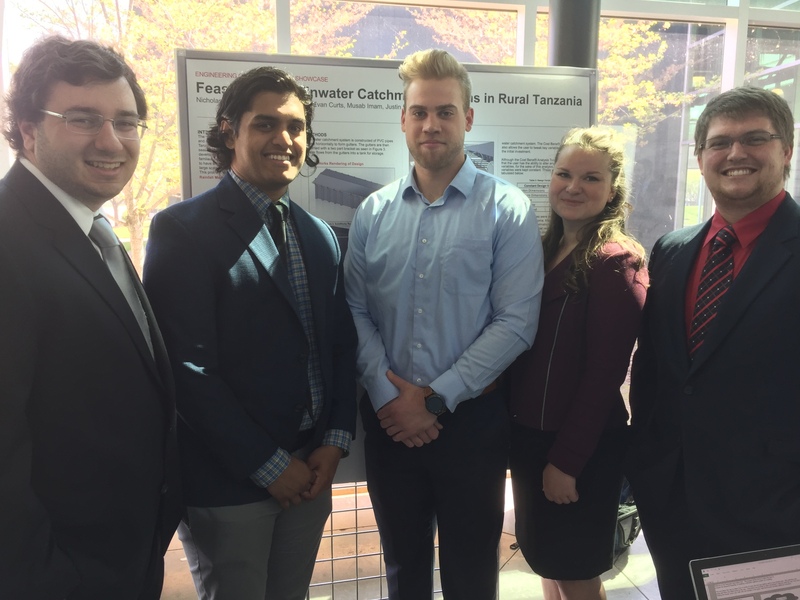 Students from many different disciplines at Ohio State contribute to the program with innovative ideas, from agriculture to hydrology to community development and business. 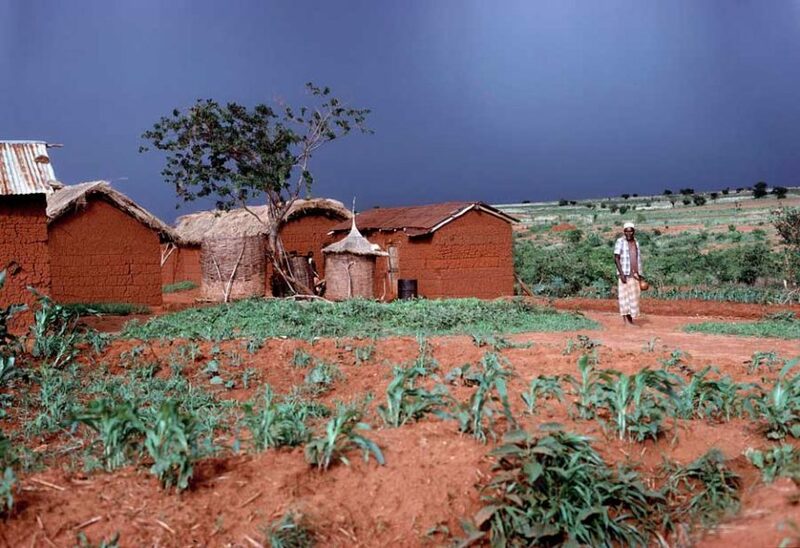 Photo above: Rain clouds over a farming village near Iringa, Tanzania. Source: United Nations via Flickr.